SUPER HIT! 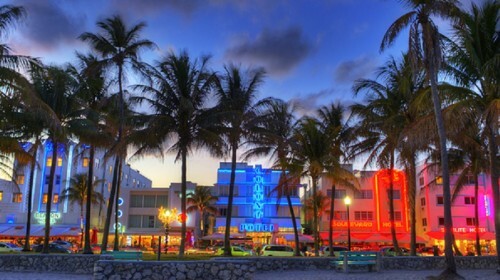 Cheap flights to Florida, USA: Orlando for only €203! This is insane! 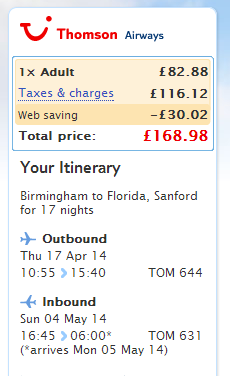 Thomson further reduced prices of flights to Florida which are now available for unbeatable price! Return flights from Manchester, London Gatwick or Birmingham to Sanford in Florida are now available for a real bargain, just €203 / 169 GBP! Sanford airport is located just approximately 25 kilometers away from Orlando. Manchester is easily reachable with many low cost airlines as Ryanair or Easyjet. These offers normally don’t include the check in luggage which is pretty expensive but in this case 20 kg check in luggage is already included in the price! Book fast directly on Thomson! Public transport in Florida isn’t exactly the best and there is plenty of great places which can be visited only by car. Renting a car is cheap so check our comparison site to get best prices. « Cheap last minute flights to Dubai for only €200!